Delicious coconut milk powder can transform a dish and give it a distinctive flavour. Coconut milk powder is made by drying coconut cream. It is an active cooking ingredient that is used in most of the Southeast Asian dishes. 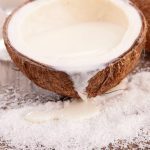 Coconut milk powder offers multiple health benefits; and hence, it is certainly the next big thing in the food industry. The thin and mixable formula of coconut milk powder offers good cooking option. It can be easily used as a cooking ingredient in healthy soups and dishes. This is because it easily blends in liquids and leaves no trace of lumps. It is also a good option, since it increases the consistency and thickness of the dishes it is used in. Still want a few more reasons to switch to using coconut milk powder? Here’s a list of 6 amazing health benefits of coconut milk powder, exclusively lined your way by your beauty and health expert, StyleCraze! Coconut milk powder is a rich source of iron. Iron plays a major role in the formation and functioning of haemoglobin in the human body. Haemoglobin is the oxygen transporter protein found in human blood. Its deficiency causes anaemia. 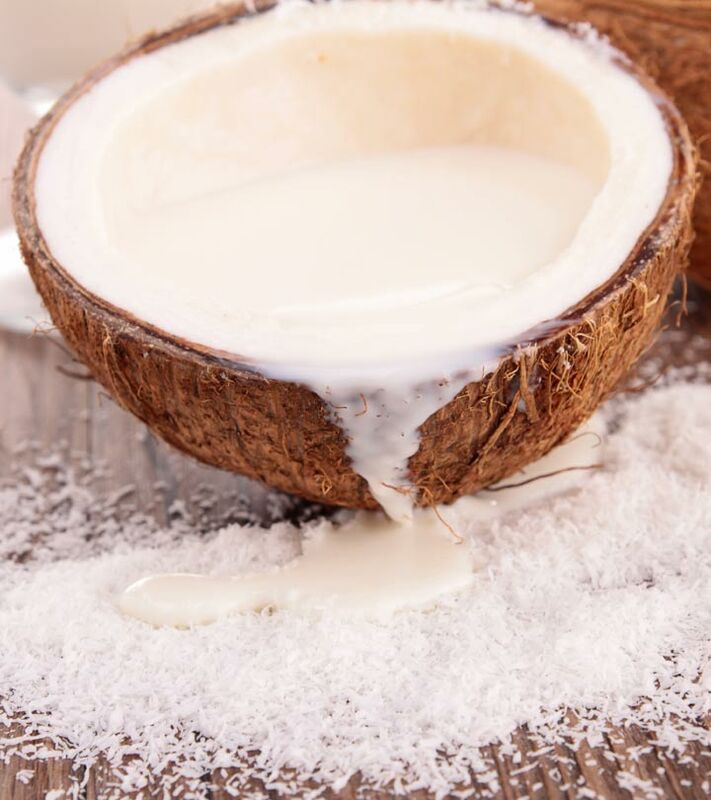 Coconut milk, rich in iron, triggers the formation and functioning of haemoglobin. This prevents anaemia, and also improves the condition of anaemic patients. Normal heart functioning is essential if you want to live a long and healthy life. Improper oxygen supply creates unnecessary pressure on the heart. The result is — increased pulse rate and blood pressure. Coconut milk powder can maintain and regulate your heart’s health to a major extent. It increases the formation and functioning of haemoglobin— the oxygen binding protein in human blood. The triggered formation of haemoglobin increases the transportation of oxygen to heart and all other body tissues. This eases any unwanted pressure on human heart. Thus, coconut milk powder is extremely helpful in maintaining heart’s health. Coconut milk powder is a miracle food item that increases the alertness and stamina of human body. It eases muscular fatigue. The tired and broken ligaments lack proper oxygen supply. This triggers fatigue and muscular pain. Coconut milk powder ensures optimal oxygen supply to all the parts of the body. It increases the supply of fresh oxygen to tired and damaged muscles and tissues. It leads to a speedy recovery. Coconut milk powder increases the supply of oxygen to the body. Thus, it is a very good food option for people suffering from respiratory syndromes. It always keeps a check on breathing rate, since it is capable of supplying oxygen to all body parts, including lungs, in the desired amount. Thus, it is certainly a good boost for people suffering from respiratory disorders. Latest research has proven the efficiency of coconut milk powder as a powerful anti-microbial agent. It hampers the growth and circulation of fungus, bacteria and yeast. These microbes are responsible for cause various deadly infections to humans. Organic coconut milk powder, loaded with the goodness of a valuable anti-microbial agent, hampers the growth of infection causing microbes. Thus, it increases the body’s immunity power against such pathogenic infections. Coconut milk powder has tested positive of having Monolaurin and Lauric acid. Both these ingredients have a collective ability to even fight back the deadly HIV virus and contain it. Coconut milk powder has the ability to strengthen the dead immune system of HIV patients. The other common viral conditions it can improve include influenza and measles. It offers human body the required strength to overcome these deadly viral infections. The points that were discussed indicate the health benefits of coconut milk powder. It is very rare to find a combination of health and taste in a single ingredient. Coconut milk powder offers the dual benefits and must find a place in your kitchen! Has this miracle food ingredient found a place in your pantry? How different is its taste from the regular milk powders you use otherwise? Do share your feedback with us in the comment section. Is It Healthy To Cook With Coconut Oil?